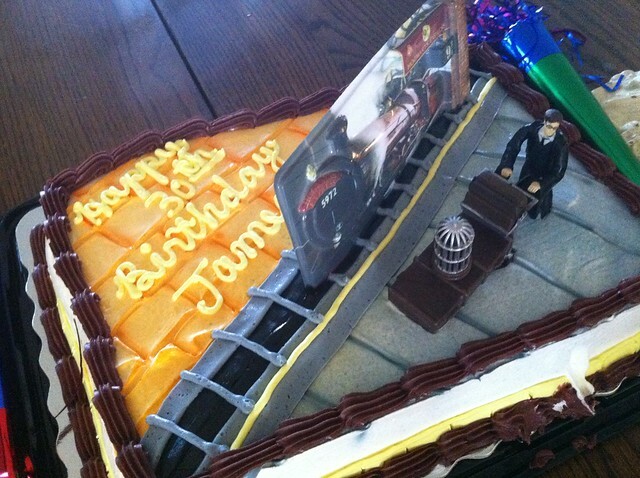 Last week, I threw a surprise birthday party in honor of Jamey’s 30th. In order to not understate the results of this event, I have to admit that it was pretty much epic. Dancing the night away on the Carolina Belle. As soon as I got home from work, Jamey and I hopped in the car and headed toward a mysterious location. I did a good job keeping this destination secret from him, and I have to compliment his friends as well for keeping everything under wraps.